If you’re anything like me, haute couture fashion weeks in Paris are for swooning over exquisitely decorated gowns. Appliqués, beading, embroideries and lace, oh my! The precision, the techniques and the flawless beauty of it all make you reconsider the notion that perfection doesn’t exist. Have you ever wondered who are the people behind high fashion’s breathtaking gowns? 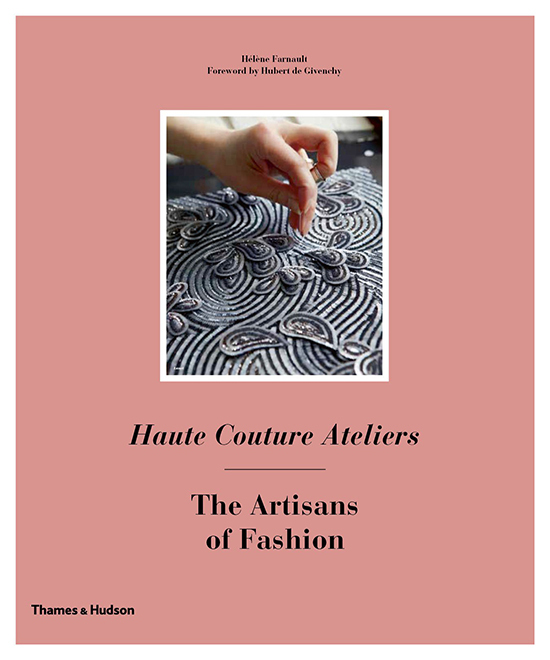 Thames & Hudson’s new book, Haute Couture Ateliers by Hélène Farnault, introduces couture’s unsung heroes: embroiderers, lacemakers, artificial flowermakers, leatherworkers, pleaters, passementerie makers and jewelers. Ateliers (workshops) employ artisans highly skilled in a craft related to dressmaking. Such establishments have existed in Paris since the birth of haute couture. Many ateliers are family businesses where the craft passes from generation to generation. Haute couture (French for “high dressmaking”) originated in Paris in mid-19th century. It differs from ready-to-wear in that the garments are tailored to the client’s measurements, made from the finest materials and sewn by hand to perfection. This hikes up the prices into hundreds of thousands of dollars. Haute couture was first a symbol of European prestige, worn by aristocrats and wives of wealthy industrialists. Today, most clients fly into Paris from the Middle East, China and Russia. Most #hautecouture clients live in the Middle East, China and Russia. The client base is not the only part of couture that has become geographically diverse. Among others, Haute Couture Ateliers features designers Oscar Carvallo (Venezuela), Maurizio Galante (Italy), Yiqing Yin (China) and glassmaker Michi Suzuki (Japan). All of them moved to Paris to pursue the art of couture. Although global interest in haute couture seems to be increasing, fashion connoisseurs lament it as a dying art. Couture has in fact been dying since World War II. Between 1946 and 1967, the number of couture houses in Paris decreased from 106 to 19. Today, only 13 fashion houses hold the permanent member status in the Chambre syndicale de la haute couture (the French governing body that regulates haute couture). Haute couture ateliers have been suffering a similar decline. There are currently 5 or 6 major embroidery ateliers in Paris. At the end of World War II their number stood at 40. To save them from becoming extinct, Chanel and Dior have been acquiring ateliers since the 1980s. Perhaps the book Haute Couture Ateliers will inspire even more efforts to preserve this part of France’s cultural and artisan heritage. Apart from unveiling the behind-the-scenes of haute couture, the book also explores the relationships between the couturier (designer), the artisan and the client. 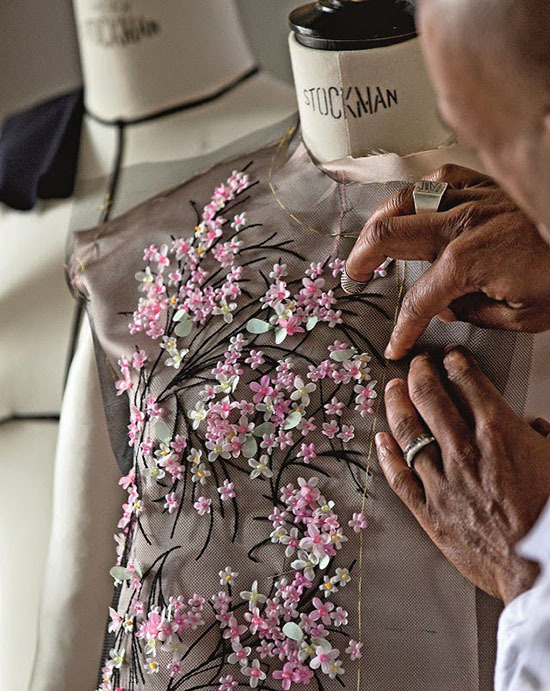 “The couturier is the architect and we are the decorators,” said the late embroiderer François Lesage. What he didn’t say is that the process only really starts with the client. Samples are shown to her for approval and may be altered according to her wishes. Once she’s given the green light, the garment is made, partly in the ateliers and partly in the main fashion house. 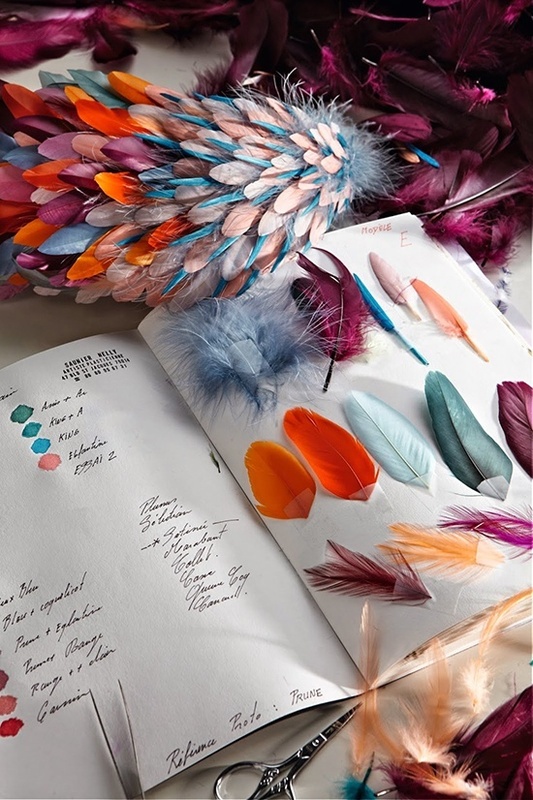 The book paints haute couture as a process of decisions and changes. It’s luxurious not only because of the skills and materials involved, but also because it demands time in this instant world. Haute couture is also intimate, letting dressmakers in on what part of your body you want to accentuate and what you’d rather hide. Though the book is dedicated to ateliers, it conveys a wholesome idea of this most splendid part of the fashion industry. The texts are accompanied by excellent photography by Alexis Lecomte, a photographer with a portfolio full of craftspeople portraits. He feels at ease in the atelier environment, capturing details without interrupting the artisans’ workflow. A constant motif in the photos is hands. Their skin is sometimes wrinkled, other times smooth. Some fingers are adorned with wedding rings, some are bare. It’s from these hands that we can deduce the future of haute couture: as long as young people continue to work in them, the ateliers will live. I did not hesitate to rate this book five stars on Goodreads because it’s one of a kind. This is the best insight you’ll ever get into haute couture unless you work in it or wear it. I received this book from Thames & Hudson for review purposes. That sounds like an amazing book - it goes straight to my wish list! Thank you for the tip. I love finding niche books on the fashion industry, thanks so much for the lovely review.